Pyrope: Mineral information, data and localities. Blood red, orange red, purple red, pink, black red, colorless. From the Greek "pyropos", "fiery-eyed", in allusion to the red hue. Almandine-Pyrope Series, Knorringite-Pyrope Series, Pyrope-Grossular Series. Occurs predominantly in ultrabasic igneous rocks. Pure end-member pyrope is colorless! (but rare). Visit gemdat.org for gemological information about Pyrope. Chromian Pyrope A chrome-rich variety of pyrope. Titanian Pyrope A Ti variety of Pyrope associated with kimberlites. Umbalite Originally described from Umba River (Umba Valley), Tanga Region, Tanzania in 1978. Chromian Diopside 7 photos of Pyrope associated with Chromian Diopside on mindat.org. Rutile 6 photos of Pyrope associated with Rutile on mindat.org. Ilmenite 4 photos of Pyrope associated with Ilmenite on mindat.org. Olivine 4 photos of Pyrope associated with Olivine on mindat.org. Diopside 4 photos of Pyrope associated with Diopside on mindat.org. Quartz 3 photos of Pyrope associated with Quartz on mindat.org. Kaersutite 3 photos of Pyrope associated with Kaersutite on mindat.org. Diamond 2 photos of Pyrope associated with Diamond on mindat.org. Calcite 2 photos of Pyrope associated with Calcite on mindat.org. Enstatite 2 photos of Pyrope associated with Enstatite on mindat.org. Klaproth, M.H. (1797) Untersuchung des böhmischen Granats, Beiträge zur chemischen Kenntniss der Mineralkörper, Zweiter Band, Rottmann Berlin, 16-21. Novak, G.A., Gibbs, G.V. (1971) The crystal chemistry of the silicate garnets. American Mineralogist: 56: 791. Kolesnik, Y.N., Nogteva, V.V., Paukov, I.Y. (1977) The specific heat of pyrope at 13 to 300 K and the thermodynamic parameters of some natural varieties of garnet. Geochemistry International 1977: 126-133. Richet, P., Bottinga, Y. (1984) Anorthite, andesine, wollastonite, diopside, cordierite, and pyrope thermodynamics of melting, glass transitions, and properties of the amorphous phases. Earth and Planetary Science Letters: 67: 415-432. Rossman, G.R., Rauch, F., Livi, R., Tombrello, T.A., Shi, C.R., Zhoi, Z.Y. (1988) Nuclear reaction analysis of hydrogen in almandine, pyrope and spessartine garnets. Neues Jahrbuch für Mineralogie Monatshefte: 4: 172-178. Hofmeister, A.M., Chopelas, A. (1991) Thermodynamic properties of pyrope and grossular from vibrational spectroscopy. American Mineralogist: 76: 880-891. Armbruster, T., Geiger, C.A., Lager, G.A. (1992) Single-crystal X-ray structure study of synthetic pyrope almandine garnets at 100 and 293 K. American Mineralogist: 77: 512-521. Pavese, A., Artioli, G., Moze, O. (1998) Inelastic neutron scattering from pyrope powder: experimental data and theoretical calculations. European Journal of Mineralogy: 1: 59-70. Wang, L., Essene, E.J., Zhang, Y. (1999) Mineral inclusions in pyrope crystals from Garnet Ridge, Arizona, USA; implications for processes in the upper mantle. Contributions to Mineralogy and Petrology: 135: 164-178. Kolesov, B.A., Geiger, C.A. (2000) Low-temperature single-crystal Raman spectrum of pyrope. Physics and Chemistry of Minerals: 27: 645-649. Wang, L., Essene, E.J., Zhang, Y. 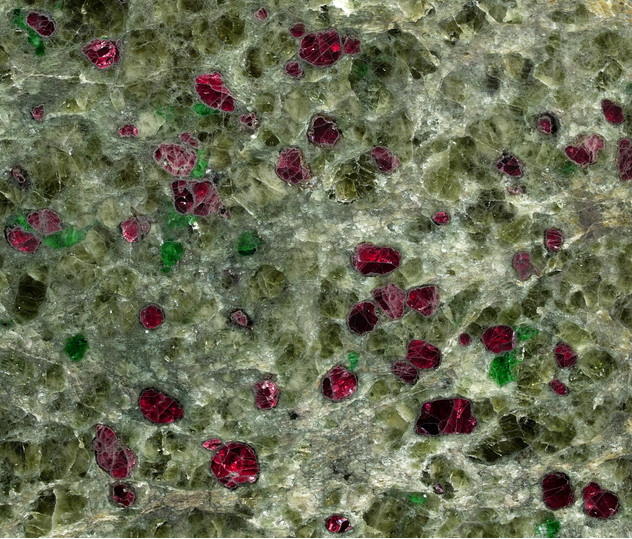 (2000) Direct observation of immiscibility in pyrope-almandine-grossular garnet. American Mineralogist: 85: 41-46. Li, L., Long, H., Raterron, P., Weidner, D. (2006) Plastic flow of pyrope at mantle pressure and temperature. American Mineralogist: 91: 517-525. Nickel, E., Grey, I., Madsen, I. (1987): Lucasite (Ce) a New Mineral from Western Australia, American Mineralogist (1987):72: 1006-1010; Kubel, S. Argyle Diamond Mine–Geology and Mining of the AK1 Pipe, Kimberley region, Northwest Australia. Mottana, A., Church, W.R., and Edgar, A.D. (1968): Contributions to Mineralogy and Petrology 18, 338-346. Niedermayr, G. (2004): 1381) Beryll und Zirkon vom Hohen Stein bei Oberarnsdorf, Dunkelsteiner Wald. Pp. 244-245 in: Niedermayr, G. et al. (2005): Neue Mineralfunde aus Österreich LIII. Carinthia II, 194./114, 217-257. Kolitsch, U. & Schillhammer, H. (2018): 2094) Aragonit, Chromit, Dolomit, Gips, Jarosit, Magnetit, Polydymit, Pyrop, Pyrrhotin-5C, ein Talnakhit-Gruppenmineral(?) und ein Nickelsilikat aus dem Serpentinitbruch bei Dietmannsdorf an der Wild im Waldviertel, Niederösterreich. Pp. 236-238 in Walter, F. et al. (2018): Neue Mineralfunde aus Österreich LXVII. Carinthia II, 208./128., 185-254. Natural History Museum Vienna collection; Gressenberger, H. (2017): Exkursion Waldviertel. VLMF Vereinsnachrichten Nr. 69, 9-12. Kolitsch, U. (2015): 1940) Diopsid, Enstatit, Hercynit, Magnetit und Pyrop von Klein-Ulrichschlag (Drösiedl) bei Irnfritz-Messern, Waldviertel, Niederösterreich. P. 251 in Niedermayr, G. et al. (2015): Neue Mineralfunde aus Österreich LXIV. Carinthia II, 205./125., 207-280. Kolitsch, U. & Schillhammer, H. (2016): 1984) Anthophyllit, Chromit, Kyanit und Pyrop vom Saugraben bei Wiedendorf, Straß im Straßertale, Waldviertel, Niederösterreich. Pp. 228-229 in Walter, F. et al. (2016): Neue Mineralfunde aus Österreich LXV. Carinthia II, 206./126., 203-250. Anashkin, S., Bovkun, A., Bindi, L., Garanin, V., & Litvin, Y. (2013). Kudryavtsevaite, Na3MgFe3+ Ti4O12, a new kimberlitic mineral. Mineralogical Magazine, 77(3), 327-334. Andrade, K. E., and Chaves, M. L. S. C., 2009, Geologia e a redistribuição sedimentary pós-Cretácica dos depósitos diamantíferos da região ao sul fe Coromandel (MG): Geonomos, v. 17, no. 1, p. 27-36. Roger H. Mitchell (1979) Mineralogy of the Tunraq kimberlite Somerset Island NWT Canada. in Kimberlites, diatremes, and diamonds: their geology, petrology, and geochemistry By Francis R. Boyd, Henry O. A. Meyer pp161-171. The Island Arc, April 1998, V 7, N 1-2, pp. 135-141. Am. Min. , V 90, pp. 801-813, 2005 / Journal of Petrology, June 2004, V 45, N° 6, pp. 1125-1145. Qiu Zhili, Wu Fuyuan, Yu Qingyuan, Xie Liewen, and Yang Shufeng (2005): Chinese Science Bulletin 50(22), 2602-2611. Hausel, W.D., and Sutherland, W.M. : Gemstones of the World, Wyoming State Geological Survey. Mineralogical Magazine , June 2004, V. 68, N° 3, pp. 443-453. Dong Zhenxin (1998): Chinese Journal of Geochemistry 17(1), 29-43. Sutherland, F.L., Duroc-Danner, J.M., and Meffre, S. (2008): Ore Geology Reviews 34, 155-168. Doubek, Z. (1996): Zaniklá lokalita granátu a sférolitického křemene hvězdovce od Bohouňovic u Červených Peček. - Minerál 1996/6, str. 388-390, nakl. M.Bohatý, Brno. Moravec, B.: Zajímavé nerosty z granátových náplavů v Podkrkonoší. Minerál, 2002, roč. 10 č. 4, s. 262-268.; Pasava, J., Malec, J., Griffin, W. L., & González Jiménez, J. M. (2015). Re–Os isotopic constraints on the source of platinum-group minerals (PGMs) from the Vestřev pyrope-rich garnet placer deposit, Bohemian Massif. Kotrlý, M., Malíková, P., Holub F. X.: Malá Jizerská louka, klasické naleziště drahokamové asociace. Bulletin mineralogicko-petrografického oddělení Národního muzea v Praze, 1997, roč. 4-5, s. 25-40. and Kotrlý, M., Malíková, P.: Klasická lokalita Malá Jizerská louka. Minerál, 2002, roč. 10, č. 4, s. 251 - 262. Zikeš, J.: Minerály Křemžské kotliny. Minerál, 2007, roč. 15, č. 1, s. 21-24. Němec, F., 1937: Mineralogie, petrografie a geologie okolí Mohelna. Monografie hadce (monografie hadce). – In: Archiv Svazu pro ochranu přírody a domoviny v zemi Moravskslezské, Brno, 49-112. Kudrjavceva, G. P., Paděra, K.: Mineralogie spinelidů v ariègitech moravského moldanubika. Časopis pro mineralogii a geologii, 1980, roč. 25, č. 4, s. 415-420. 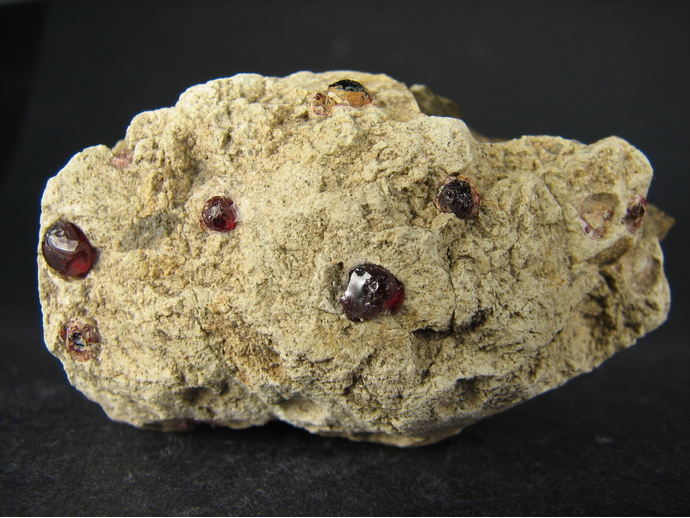 Seifert, A.V., Vrana, S. (2005): Bohemian garnet, Bulletin of Geosciences, Vol. 80, 113-124; Rost R.: Doplňky k mineralogii pyropových štěrků v Českém středohoří. Časopis pro mineralogii a geologii, 1962, 7, 4, 407-417. Fišera, M., Paděra, K.: Pyrope from Karlov at Kutná Hora (Czechoslovakia). Acta Universitatis Carolinae – Geologica, 1977, vol. 21, nos. 3-4, s. 193-198. Hölttä, P. & Paavola, J. 1988.The Varpaisjärvi-Iisalmi area. In: Pajunen, M. (toim.) International Geological Correlation Programme. Project 235 "Metamorphism and Geodynamics". Excurcion in Finland 15.6.-19.6.1988. Geologian tutkimuskeskus opas 21, 13-18.
http://perso.wanadoo.fr/jeldemine/listes%20mineraux.html File not found - an unbelievable occurrence for pyrope-dominant garnet. Data needed. Dill, H. G., Melcher, F., Gerdes, A., & Weber, B. (2008). The origin and zoning of hypogene and supergene Fe–Mn–Mg–Sc–U–REE phosphate mineralization from the newly discovered Trutzhofmühle aplite, Hagendorf pegmatite province, Germany. The Canadian Mineralogist, 46(5), 1131-1157. Quakenack, K.-H. (1967): Contributions to Mineralogy and Petrology 14, 204-223. Analyses of Anthony Kampf of Natural History museum of Los Angeles - U.S.A.
- Antonio Bertolini (1994): ALTO LARIO OCCIDENTALE, GRAVEDONA (CO). Rivista Mineralogica Italiana, vol. 1, 73-76. European Journal of Mineralogy (2003), 15, 167-176; Simon, G. & Chopin, C. (2001): Enstatite-sapphirine crack-related assemblages in ultrahigh-pressure pyrope megablasts, Dora-Maira massif, western Alps. Contributions to Mineralogy and Petrology 140, 422-440. Piccoli, G.C. (2002). Minerali delle Alpi Marittime e Cozie Provincia di Cuneo. Associazione Amici del Museo "F. Eusebio" Alba, Ed., Alba (Cuneo) 366 pp. Conti - Vecchi, G., Stara, P., (1991) :Minerali della Sardegna.Della Torre editore.Cagliari, 276 pp. Tumiati, S., Carbonin, S., Mair, V., & Russo, U. (2006). Dissakisite-(La). Nuova specie dalla Val d'Ultimo, Alto Adige. Rivista Mineralogica Italiana, 30(4), 244-247. Carraro A., Visonà D., Nimis P., Boscardin M. (2007): I granati delle Fosse di Novale. Studi e Ricerche, Associazione Amici del Museo, Museo Civico "G. Zannato", Montecchio Maggiore, 13, 14, 79-89.; Boscardin M., Daleffe A., Rocchetti I., Zordan A. (2011): Minerali del Vicentino - Aggiornamenti, località e nuove determinazioni. Museo di Archeologia e Scienze Naturali “G. Zannato”, Montecchio Maggiore (Vicenza), 183 pp. ; Zordan A. (2014): Provincia di Vicenza. In: Zorzi F., Boscardin M. (eds. ), Minerali del Veneto. Alla scoperta dei tesori della nostra regione. Museo di Storia Naturale e Archeologia di Montebelluna - Treviso, Cierre Edizioni, Sommacampagna, 173-246. E. Takazawa et al. , Journal of Petrology, V 40, N 12, December 1999, pp. 1827-1851. Geology : Online Forum / Geology, Vol. 30, Issue 10, pp. 947-950, Oct. 2002.
http://www.rexmining.be/rdmc/Pressroom/1999/1999_06_29_E.htm; Rex Diamond Mining Corp. Investors Brief; . Investors Brief, Rex Diamond Mining Corp. Ltd.
Railton, G. L. and Watters, W.A., Minerals of New Zealand, New Zealand Geological Survey Bulletin #104 (1990). ; Mason, B. (1968): Contributions to Mineralogy and Petrology 19, 316-327. Analyzed - Rui Nunes 2009; Palácios, T. (1985) - Petrologia do Complexo vulcânico de Lisboa. Tese Doutoramento Univ. Lisboa, 260 p.
Kononova, V.A., Golubeva, Y.Y., Bogatikov, O.A., and Kargin, A.V. (2007): Geology of Ore Deposits 49(6), 421-441.; Rubanova, E. V., Palazhchenko, O. V., & Garanin, V. K. (2009). Diamonds from the V. Grib pipe, Arkhangelsk kimberlite province, Russia. Lithos, 112, 880-885.; Kononova, V.A., Golubeva, Y.Y., Bogatikov, O.A., and Kargin, A.V. (2007): Diamond Resource Potential of Kimberlites from the Zimny Bereg Field, Arkhangel’sk Oblast. Geology of Ore Deposits 49(6), 421-441. Rudashevskiy, N.S., Mochalov, A.G., Men'shikov, Y.P., Shumskaya, N.I. [Рудашевский, Н.С., Мочалов, А.Г., Меньшиков, Ю.П., Шумская, Н.И.] (1983) Ferronickelplatinum, Pt2FeNi, a new mineral species [Ферроникельплатина Pt2FeNi - новый минеральный вид]. Zapiski Vsesoyuznogo Mineralogicheskogo Obshchestva [Записки ВМО], 112, 4, 487-494 (in Russian). Ustinov, V. N., Zagainyi, A. K., Smith, C. B., Ushkov, V. V., Laz'ko, E. E., Luk'yanova, L. I., & Lobkova, L. P. (2009). Early Proterozoic diamond-bearing kimberlites of Karelia and their formation peculiarities. Russian Geology and Geophysics, 50(9), 739-750. Egorov, K. N., Koshkarev, D. A., & Karpenko, M. A. (2008, October). Mineralogical-geochemical criteria of diamond potential of kimberlites in the Yubileinaya multiphase Pipe (Yakutia). In Doklady Earth Sciences (Vol. 422, No. 1, pp. 1137-1141). MAIK Nauka/Interperiodica. Boyd, F.R., Pokhilenko, N.P., Pearson, D.G., Mertzman, S.A., Sobolev, N.V., and Finger, L.W. (1997): Contributions to Mineralogy and Petrology 128, 228-246.; Malkovets, V. G., Pokhilenko, L. N., & Pokhilenko, N. P. (2013). Geochemistry of megacrystalline pyrope peridotites from the Udachnaya pipe, Siberian craton. Crystallogenesis and Mineralogy, 245. Rezvukhin, D. I., Malkovets, V. G., Sharygin, I. S., Tretiakova, I. G., Griffin, W. L., & O'Reilly, S. Y. (2018). Inclusions of crichtonite-group minerals in Cr-pyropes from the Internatsionalnaya kimberlite pipe, Siberian Craton: Crystal chemistry, parageneses and relationships to mantle metasomatism. Lithos, 308, 181-195. Ashchepkov I.V., Vladykin N.V., Rotman A.Y., Afanasiev V.P., Logvinova A.M. , Kuchkin A.S., Palessky V.S., Nikolaeva I.A., Saprykin A.I., Anoshin G.N., Khmel'nikova O.S. () Variations of the mantle mineralogy and structure beneath Upper - Muna kimberlite field. pp 170-186. SHIRAISHI and Eiji OHTANI (2007) “Raman spectroscopic study of a garnetite xenolith from Malaita, Southwest Pacific”. Journal of Mineralogical and Petrological Sciences, 102, 337-345. Eur. J. Mineral. , 1991, 3, pp. 213-230. Tsai, H. M., Meyer, H. O., Moreau, J., & Milledge, H. J. (1979). Mineral inclusions in diamond: premier, Jagersfontein and Finsch kimberlites, South Africa, and Williamson mine, Tanzania. Kimberlites, Diatremes, and Diamonds: Their Geology, Petrology, and Geochemistry, 16-26. Peters, T. (1968): Contributions to Mineralogy and Petrology 18, 65-75. Stalder, H. A., Wagner, A., Graeser, S. and Stuker, P. (1998): "Mineralienlexikon der Schweiz", Wepf (Basel), p. 315. Gems and Gemology, Volume 28 p 149; Zwaan, P. C., & Zwaan, P. C. (1974). Garnet, corundum and other gem minerals from Umba, Tanzania. Rijksmuseum van Geologie en Mineralogie. Sutthirat, C., Saminpanya, S., Droop, G. T. R., Henderson, C. M. B., & Manning, D. A. C. (2001). Clinopyroxene-corundum assemblages from alkali basalt and alluvium, eastern Thailand: constraints on the origin of Thai rubies. Mineralogical Magazine, 65(2), 277-295. Anthony, J.W., et al (1995), Mineralogy of Arizona, 3rd.ed. : 344; Gregory, H.E. (1917), Geology of the Navajo Country-A reconnaissance of parts of AZ, NM, & UT, USGS PP 93; Gavasci, A.T. & P.F. Kerr (1968), Uranium emplacement at Garnet Ridge, Econ.Geol. : 63: 859-876; Switzer, G. (1977), Composition of garnet xenocrysts from three kimberlite pipes in AZ and NM, in B. Mason (ed. ), Mineral sciences investigations, 1974-1975, Smithsonian Contr. Earth Sci. : 19: 1-21; Galbraith, F.W. & D.J. Brennan (1959), Minerals of AZ: 94. New Mexico GeologicalSociety Guidebook, 54th Field Conference, Geology of the Zuni Plateau, 2003, pp. 133-138; Kiersch, G.A. (1955), Mineral resources of the Navajo-Hopi Indian Reservation, Arizona-Utah, Univ. of AZ: 90-94; Peirce, H.W. (1969), Garnet, in AZ Bur. Mines Bull. 180, USGS Bull..871; Phillips, K.A. (1987), Arizona Industrial Minerals, AZ Dept. of Mines & Min. Resources, Min. Rpt. 4. Anthony, J.W., et al (1995), Mineralogy of Arizona, 3rd.ed. : 102, 260; Williams, H. (1936), Pleiocene volcanics of the Navajo-Hopi country, Geol. Soc. Amer. Bull. : 47: 111-172; Witkind, I.J. & R.E. Thaden (1963), Geology and uranium-vanadium deposits in the Monument Valley area, Apache & Navajo Cos., AZ, USGS Bull. 1103: 54-60; Watson, K.D. & D.M. Morton (1969), Eclogite inclusions in kimberlite pipes at Garnet Ridge, northeastern AZ, Am.Min. : 54: 267-285; Galbraith, F.W. & D.J. Brennan (1959), Minerals of AZ: 94; Min.Rec. : 32:211. Anthony, J.W., et al (1995), Mineralogy of Arizona, 3rd.ed. : 106; Pilkington, H.D. (1961), A mineralogic investigation of some garnets from the Catalina Mountains, Pima Co., AZ, AZ Geol. Soc. Digest: 4: 117-122. Dudley, P.P. (1968) Glaucophane schists and associated rocks of the Tiburon Peninsula. (abstract) Dissert. Abst., Sec. B, Science and Engineering: 29(1): 247-248; Dudley, P.P. (1969) Electron microprobe analyses of garnets in glaucophane schists and associated eclogites. American Mineralogist: 54: 1140; Pemberton, H. Earl (1983), Minerals of California; Van Nostrand Reinholt Press: 496. 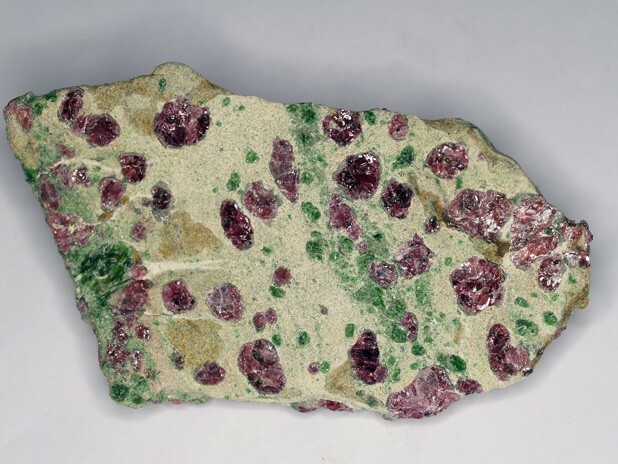 Jarnot & Jarnot (2004): "Gem almandine from Colchester, Connecticut", The 31st Rochester Mineralogical Symposium, April 15-18, 2004, pp13-14. Januzzi, 1976. Mineral Localities of Connecticut and Southeastern New York State (Taylor Assoc./Mineralogical Press). Chapter: "Massachusetts Mineral Localities." ⓘ College Park locality ? Kay, S. M., Snedden, W. T., Foster, B. P., and Kay, R. W., 1983. Upper Mantle and Crustal Fragments in the Ithaca Kimberlites. Journal of Geology (91), pages 277-290. Sinkankas, J. (1976) Gemstones of North America, Vol. 2, pp 189-190. Rocks & Min. : 60: 86. Hidden and Pratt (1898), American Journal of Science, fourth series, v. 6, p. 294. UGMS Bull 117 Minerals and Mineral Localities of Utah; Schulze, D. J., Flemming, R. L., Shepherd, P. H., & Helmstaedt, H. (2014). Mantle-derived guyanaite in a Cr-omphacitite xenolith from Moses Rock diatreme, Utah. American Mineralogist, 99(7), 1277-1283. Morrill & Chaffee, 1957. VT Mines & Mineral Localities. W. Dan Hausel (1994) Economic Geology of the Seminoe Mountains Mining District, Carbon County, Wyoming. Wyoming Geological Survey Report of Investigation 50.